I would like to take a moment this week and thank everyone who left a message regarding last weeks challenge I was honoured and deeply thrilled by your responses. Thank you Thank you Thank you! Black, Joseph 1728-1799. British chemist who rediscovered carbon dioxide (1756) and formulated the concepts of latent heat and specific heat. Grey, Lady Jane 1537-1554. Queen of England for nine days (1553). Proclaimed queen on the death of Edward VI (July 10, 1553), she was imprisoned after her short reign, replaced by the popular Mary Tudor, later Mary I, and subsequently beheaded for treason. White, E (lwyn) American writer and humorist who contributed essays, editorials, and parodies to the New Yorker. He also wrote children's books, including Charlotte's Web (1952), and revised a 1918 writing manual, The Elements of Style (1959). 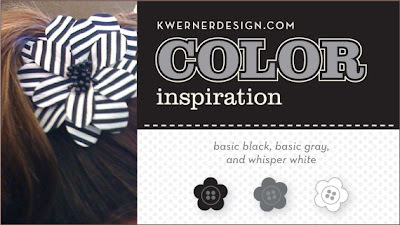 Each week Kristina Werner posts a new colour inspiration on her blog and they are truly inspiring. Here is my entry for colour inspiration #45 what I like to call "Getting Back to Basics". 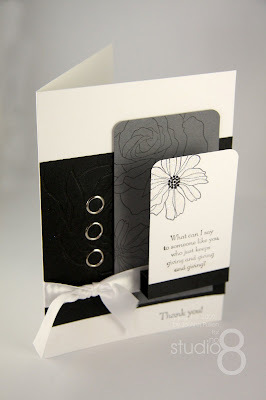 This card was inspired by the stamp set 5th Avenue Floral and the new Textured Impressions Manhattan Flower plus the new Designer Hardware Basic Small Grommets all from Stampin Up. 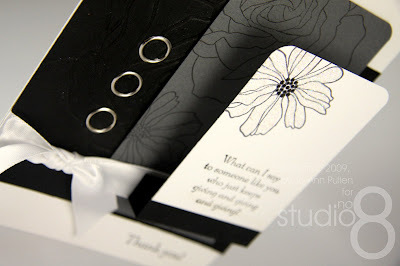 If you don't have these yet make it part of your next order as it is fantastic and great for wedding invitations see here. Anyway here it goes, please let me know what you think! oh my gosh- it's beautiful! WOW! What a neat design! Very unique, and I love the contemporary feel of the design! Great job again! Very pretty! Your work just astounds me. You are my new favorite. Your work is absolutely beautiful and flawless! WOW (Like Nancy said) this is amazing, another great card! 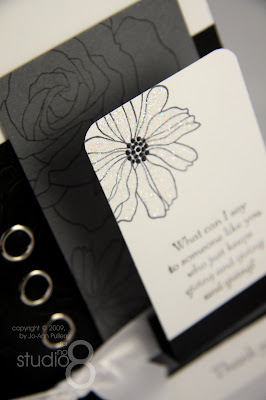 I think I know which stamp set is going on my next order... your cards are just beautiful!! Wow! just Fabulous! I love it. Wow! Wow! Wow~ I love the layering! :D I really really love this!